SRI. It’s an acronym that’s been gaining more popularity as of late among investors and financial analysts. It stands for Sustainable, Responsible, and Impact investing (SRI). It’s a socially responsible strategy for investing that relies on Environmental, Social, and Corporate Governance (ESG) to develop a diverse portfolio for meeting your long-term financial goals while also maintaining a positive and sustainable impact on society. Investors who choose to pursue investments in SRI often do so for a number of reasons. Some are driven to it because it falls in line with personal beliefs, goals and organizational mission statements. Others do it as per the instructions of clientele or participants in specific investment plans. 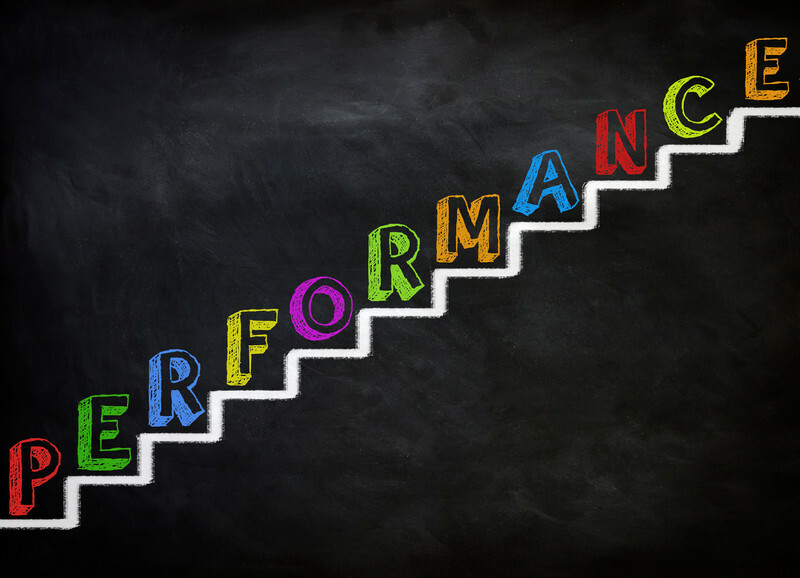 Like any investment, there is the typical criteria applied to ascertain and monitor their potential for performance. No one is going to invest in something that doesn’t have a strong likelihood for financial growth and profitability. However, selecting sustainable investments also comes with the additional component of providing not just monetary gain but a way to a better world. There are also investors who look to SRI to manage risk and use ESG to help them determine how companies deal with unique challenges and qualify the management skills of the personnel in charge of navigating their respective industries. Investors will also turn to SRI in finding those investments that show trends of performing beyond their projections. So what types of investments are NOT considered to be socially responsible? Tobacco companies, alcohol companies, weapons manufacturers, corporations that test their products on animals, and organizations involved in gambling among others that promote unhealthy or dangerous practices. These are just some of the major examples. Which then begs the question as to what constitutes the opposite as acceptable under SRI. Anything that invests capital into communities, corporations that have a strong belief in supporting human rights around the world, organizations that invest in or feel the need to protect the environment in the manufacture of its products, companies that support positive labor practices, and any group or investment that promotes equality and diversity in its hiring standards. Individual investors looking to bolster their savings and put money into retirement plans can practice SRI. These typically incorporate mutual funds, stocks, bonds, and other investment vehicles that focus on corporations that promote responsible methods of conducting business. Foundations are also big supporters of socially responsible investing as they contribute to funds and other investment vehicles that have a positive social impact on communities and people who are less fortunate. The corporations they select are often those in line with the foundation’s mission statements and goals for achievement. Hospitals and medical schools look to invest in companies that encourage healthy behaviors and create products and services that benefit people and the environment. Companies that are dedicated to good health and well-being are popular among these types of investors. Credit unions and community-based banks also engage in socially responsible investing to help develop the low and middle income communities they serve in order to make them thrive. They also advocate for the organizations who participate in reaching those goals. Venture capitalists analyze and classify corporations that work responsibly in manufacturing their products and engage in services that protect the environment while creating more jobs and providing valuable benefits for the communities that support them. Religious entities and public pensions participate by intervening with shareholders and corporate leadership over the companies and organizations in which they hold stock to push for reforms and adapt standards for ethical practices and governance. These methods of communication are typically through shareholder resolutions. When you own shares in a corporation, it affords you certain benefits of influence and engagement. This clout allows you to broach topics of ESG issues and how they are embraced by that organization. 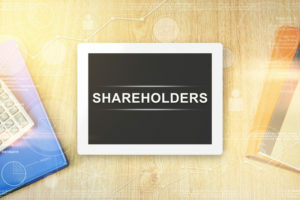 Shareholders are able to file something called a “shareholder resolution.” This document is intended as a way to get upper management of these companies to focus on the concerns you have about how they run their business. These resolutions also have a dual effect of bringing greater attention to these issues with the general public and in the media. Resolutions will come to a vote among the board of directors of a company. However, a vote is not always necessary for the issues to be raised in the resolution. Simply filing a shareholder resolution will initiate conversation and even some form of agreement or compromise between the shareholders who brought the resolution forward and relevant company personnel. Once such an accord has been reached, the resolution is typically withdrawn or dismissed. Shareholder resolutions can cover a wide range of topics and issues. A majority of them often include requests for increased oversight and more transparency regarding political contributions or company interactions with politicians and lobbyists. Many resolutions that focus on SRI typically address climate change, human rights, diversity in employment, governance structures, executive pay and bonuses, and overall engagement practices with shareholders in the way that companies resolve these relevant issues. Shareholders also have the power to form coalitions to bring an even greater influence on the corporations to improve their environmental, social, and governance protocols and become more active in public policy initiatives, outreach to regulatory agencies, and even testify to Congress when ESG issues are at stake. According to Securities and Exchange Commission (SEC) rules, there are certain by-laws that apply for filing a resolution with any publicly-traded company. Section 14a-8 of the Securities Exchange Act of 1934 states that any shareholder who wishes to file a resolution must own more than $2,000 or 1% of the shares of a corporation and they must have held those shares for a minimum of one full year prior to the annual submission deadline for resolutions. Each proposal must be no longer than 500 words. The content must only reflect true facts and avoid information intended to be faulty, mislead the reader, or promote any personal agenda or grievance towards the corporation, its management, or any related parties. Every resolution submitted is limited to topics reflecting corporate environmental, social, and governance policy proposals that pertain to the public at large. These resolutions are not intended to be instruments that address daily business matters extending to topics including employee benefits, the sale of certain products (unless they pose a significant threat to ESG matters) or changes in company personnel. In addition, at least one individual responsible for bringing the resolution up for discussion and vote must be present at the annual meeting to make a formal proposal of the resolution. If there are no representatives present for any resolution that is brought to the floor, most companies will disregard it and move on to the next one. Every resolution that is brought in front of a company’s board may challenge it under the SEC’s requirements for content, length, and minimum ownership stipulations. In the event of a dispute over non-compliance of the rules, the SEC will intervene and make a ruling based on their by-laws for eligibility of the resolution proposal. Once they have ruled, they will send a letter to each party informing them of their decision as to whether the resolution in question may be addressed in during the annual meeting or if can be disregarded. Sustainable, responsible, and impact investing has seen a steady rise in growth in both the United States and European markets. There are almost as many investment strategies that are driven by these principles as there are issues and causes that these investors advocate for through their allocation of assets. Many of them prefer to use capital to invest in the growth of a community or neighborhood and find their return on investment in the successful development of that goal. There are also investors who seek out funds and various other products because they are strong, stable investments that will always perform well and provide a competitive financial return. The name says it all. Community investing involves investments in foundations, chapters, and programs that have been established with the express purpose of providing vital services to implement social and economic changes to low-income and under-served communities throughout the United States and various impoverished regions of the world. Just as important as shareholder resolutions with publicly-traded corporations, community investing relies on financial investments from both public and private parties. This money helps to provide capital and training assistance that needy neighborhoods and communities sorely miss. The money that is put into these outreach programs helps to provide a stable economic foundation for positive development in a variety of methods and services. The intention is to sustain low-income and depressed neighborhoods by providing basic necessities such as easy access to healthy food and child care, affordable housing, public transit, educational programs, and avenues for steady, long-term employment. In addition, community investing places an importance on economic growth by way of developing crucial infrastructure which helps to stimulate job growth and lower unemployment rates. Any type of investor may get involved in opportunities for this type of investment. Community development banking institutions and local credit unions are typically the most active participants in community investing initiatives along with fixed income and private equity investment vehicles. The goal for investing in the community is to enhance the lives of those around you. It helps to build the groundwork for establishing safer and stronger neighborhoods around the country by giving families the ability to own a home and find good-paying jobs. In turn, this stimulates the development of small businesses and bolsters the economy so that everyone who lives within the community has a shot at a better quality of life. There are numerous examples of success stories throughout America that could only be achieved through smart investment in the community. For the uninitiated, a mutual fund is a method of investing in which a pool of capital is brought together from a collection of investors who are looking to put their money into a variety of security options like stocks, bonds, money market accounts and various other assets. Each fund is run by a manager who selects the companies and organizations in which to invest. The purpose is to generate income on that investment through capital gains. The portfolio of any mutual fund is designed to reflect the objectives and goals that are clearly stated in the fund’s prospectus. Each investor who reads it will get a clear picture of the types of investments and companies that the fund will seek to support. For those mutual funds that focus on socially responsible investing, the prospectus should accurately portray the intended objectives that demonstrate this mindset and how the fund will go about pursuing these intentions. As a general rule, these funds will refrain from investing in organizations that demonstrate a proclivity for violating various segments of SRI through their business mission statements and practices. For instance, many socially responsible mutual funds will not invest in a group or company that has any involvement in legalized gambling. They also generally refrain from investing in defense firms and utility companies that rely on nuclear power or present any other type of negative impact on the environment. Not every mutual fund is willing to stick to the courage of its convictions as there are more than a few such funds that state they may take the good with the bad in their decision-making. Some of these funds are willing to view the positive aspects of ESG in equal measure with any negative impacts on same and then elect to invest should the former outweigh the latter. This is important to keep in mind for socially conscious investors who have a hard-line stance against investing in a company with a track record of any major negative practices. The great thing about getting into a mutual fund is that it enables investors of every size the opportunity to participate in a portfolio of investments that is managed by reputable groups who have a proven track record. It helps to take the guesswork out of picking and choosing the right investments and small investors can feel assured that they are contributing to a group of securities and stocks that reflect their personal beliefs. While no mutual fund is assured of a return on investment, the managers work to explore those opportunities that have shown strong performance trends while engaging in business practices that support ESG. If mutual funds aren’t to your liking, then there are other strategies for investment that you may pursue instead. They range along a wide swath of funds such as pension funds, ETF’s, venture capital, hedge funds, private equity, and property funds, just to name a few. Investors who are seeking to get involved in these types of investments can find suitable options that take Sustainable, Responsible, and Impact investing into consideration when selecting the firms and organizations in which to support. 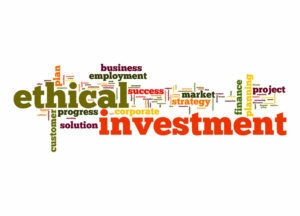 These types of investments all bring a dedication to supporting ethics in corporate practices, protection of the environment, reduction of greenhouse gas emissions, promoting worker and human rights, and the positive development of the communities and regions in which a company is based and operates. Performance trends for sustainable, responsible, and impact investing can be demonstrated two-fold. Socially conscious investors view the performance of these types of investments through their rate of return from quarter to quarter and also through the impact their investing has on the business practices, services, and products of the companies they support. They also look to the overall climate for behavior and compliance in their respective industries through the standards and regulatory practices of the various organizations and groups that govern these fields. With regard to the former, the performance of SRI investments has been shown to be some of the smartest choices savvy investors can make when it comes to allocating your money. 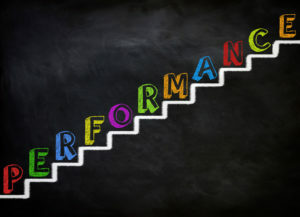 Institutions as diverse as Oxford University to the Morgan Stanley Institute for Sustainable Investing to the United Nations Environment Programme Finance Initiative have all determined that those corporations who put an emphasis on adherence to and compliance with ESG have a greater track record of positive growth and financial performance. No investor wants to lose their capital in any investment deal. It would seem through solid evidence from reputable sources that there is some minor instance of lesser risk in companies that play by the rules. It’s not difficult to see how the former plays into the latter. As investors start to show greater insistence on refusing to invest in companies that have a spotty record of performance in the marketplace, it can be an incentive to whip those bad actors into shape. If you’re an investor who follows a belief for investing that embraces compliance, then you may wish to refrain from investing in a company embroiled in scandal. Controversy can lead to significant loss of revenue for that company and a black mark on its reputation in the marketplace. The same goes for the corporation that has a history of safety recalls or is shown to be involved in bribing local governments in order to conduct business in that country. This can be particularly damaging if that country is known for committing major human rights violations and abuses. Socially responsible funds will seek to avoid these companies and the standards of any fund may be determined by the extent of these infractions. However, as studies have shown, the companies who do business responsibly are often those who perform better in the marketplace because these types of behaviors reflect poorly on the products and services being offered to the general public. Of course, this isn’t always the case. Take Apple for instance. The company is a juggernaut that offers products that millions of people use every day. Everyone seems to have an iPhone, iPod, or iPad and every announcement of the newest version of these products is met with almost worldwide attention and enthusiasm. There’s also the specter of worker abuse hanging over the company as reports have circulated that these products are made in horrific working conditions in China. Yet despite these claims, some of which come with irrefutable evidence, there is still a high demand for Apple products. This might pose a dilemma for some investors who must weigh the ongoing performance of the company against their production practices and alleged abuses of Chinese workers. Some investors want no part of Apple, yet there are funds that claim to adhere to ESG yet include the company in their portfolios. Socially responsible investment has a long history that started in the 1700’s when Quakers prohibited their members from any involvement in slavery. Through the many decades since then, there has been a commitment to making companies accountable for their actions through investment strategies. It’s not difficult to participate in responsible investing that supports ESG and make money doing so. Anyone seeking to do so can seek out a variety of indexes that only focus on companies that practice good ethics. Any one of those is a good place to start when you’re ready to become socially conscious in your investments.